Join Banou organization’s Nowruz 2012 Gala for cocktail, dinner, and prizes. Musical guest is Faramarz Asef. * No tickets will be sold at the door. * 40% of ticket price is tax deductible. * Please no children under 12 years of age. * No video-recording is permitted on the premises. * Table seating is limited to twelve guests per table. * Seating is reserved based on a first-come, first-serve basis. * Hotel information and printed directions could be viewed here. * RSVP deadline is March 11, 2012, after which no refund will be given. If you have not received our event information in the mail and would like to attend the gala, you can download and view the Invitation Card, as well as print the RSVP Form and mail it with your payment to Banou’s address. 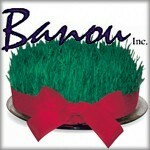 Please make your checks or money orders payable to Banou Inc. If you are interested in being an sponsor for this event, visit our Sponsorship & Donations webpage. Banou Inc. (”Banou”) is a non-profit, non-political, and non-religious charitable organization that strives to promote and advance the Iranian culture both within and without the Iranian-American community in the United States, bring together and cater to the needs of our community members near or in retirement, and celebrate our collective heritage through relevant cultural events and activities. Although our primary audience has been Iranian-Americans residing in the Tri-State area (New York/New Jersey/Connecticut), we always welcome new members and event participants from across the country.